Some guys are hall of famers both on and off the field. Notable Facts: Christy Matthewson was one of the best pitchers to ever play. In 1918 he enlisted in the army and joined the Chemical Corps. In France he came into contact with toxic gas. As a result he developed tuberculosis and eventually died. Baseball Seasons Lost: After his baseball career. Notable Facts: Enlisted immediately following his first triple crown season. Served as a flight instructor during World War II. Was recalled in 1952 for Korea where he flew combat missions. Notable Facts: Enlisted two days after Pearl Harbor (First baseball player to do so). Captain of an anti-aircraft gun on the USS Alabama. Notable Facts: Wilhelm was a staff sergeant in charge of a heavy gun unit in World War II (including at The Battle of The Bulge. In 1945 while in Germany his unit was under heavy attack when shrapnel tore into his hand and back. He left the service with a Purple Heart. Baseball Seasons Lost: Three minor league seasons. Notable Facts: Was an Army physical education instructor. Was a sergeant when he left the military to return to baseball. Notable Facts: Spahn enlisted after the 1942 season, while he was still in the minors. He fought all over Europe including at the Battle of the Bulge. While in Remagen, Germany, Spahn was responsible for helping maintain traffic across the last active bridge across the Rhine. During an attack on their position shrapnel tore up his foot. Spahn received a Bronze Star, Purple Heart, and a battlefield commission as a second lieutenant. Notable Facts: Berra volunteered as soon as he came of age. He was a gunner's mate on D-Day at Normandy. He also served in North Africa and played baseball throughout his time in the Navy. Baseball Seasons Lost: Before his baseball career. 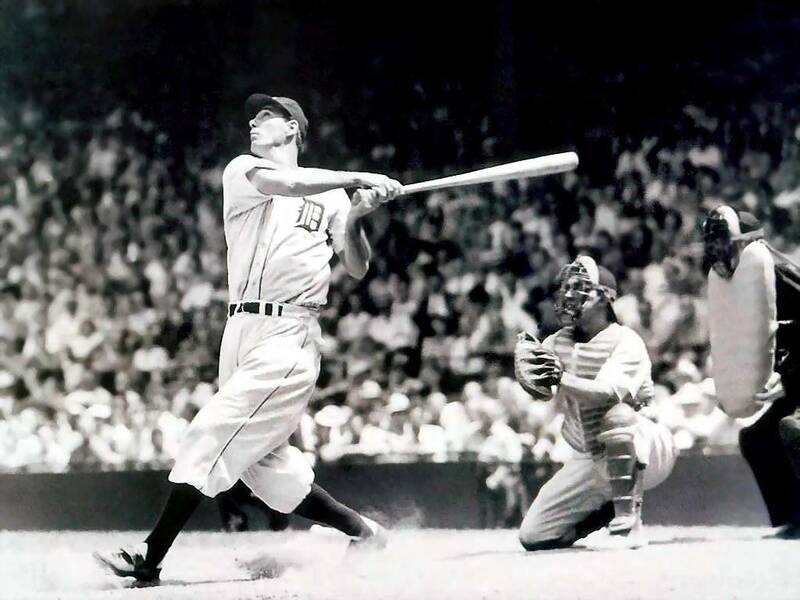 Notable Facts: Hank Greenberg was dead set on serving during World War II. He was initially deemed unfit for service due to having flat feet. He was later cleared for duty, but when he was honorably discharged at the age of 28, he re-enlisted with the Army Air Forces. Notable Facts: A second-lieutenant, Robinson was court-martialed for refusing to move to the back of an Army bus. He was eventually cleared of any and all wrong-doing. Notable Facts: Reese served three years in the Pacific theater. Where he spent most of his time in Guam. Notable Facts: Whitey Ford was a dominant rookie in 1950, but after his first season he enlisted in the Army for the Korean War. Notable Facts: When Dizzy Dean was 16 he convinced an Army recruiter that he was 18 so that he could enlist. He was stationed in Texas for three years where his reputation for being "dim" began. Notable Facts: Staubach attended the Naval Academy, so when he graduated, he had to fulfill his required service before he could play pro football. This included a tour in Vietnam. He was finally able to join the Dallas Cowboys in 1969, five years after being drafted.